FS-FlightControl includes an easy to use setup system that will guide you through the product installation allowing you to change installation folder and other settings. After you have selected the desired setup language this welcome screen is displayed. First you need to accept the license agreement by selecting I accept the agreement to proceed with the installation. 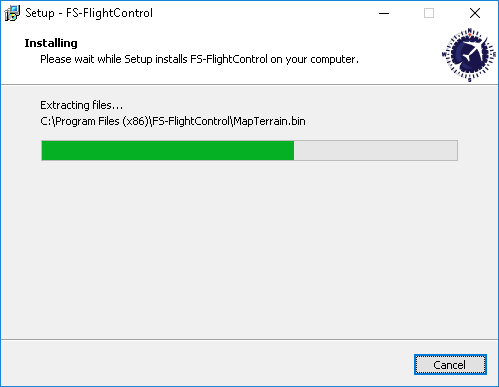 In this screen you can change the destination location of the installation. 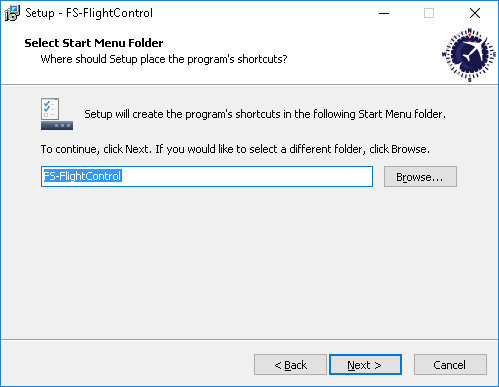 Here you can select where the product shortcut should be placed in the start menu. In this step you can choose if a Desktop icon should be created for FS-FlightControl. Additionally there is an option to automatically create a Windows Firewall exemption for FS-FlightControl: It is highly recommended to keep this selected to avoid problems later on! Now everything is ready to install. Please click on the button Install to start the product installation. While the product files are copied this progress screen is displayed. If you do not have any SimConnect client libraries installed yet the setup will automatically install compatible SimConnect libraries. 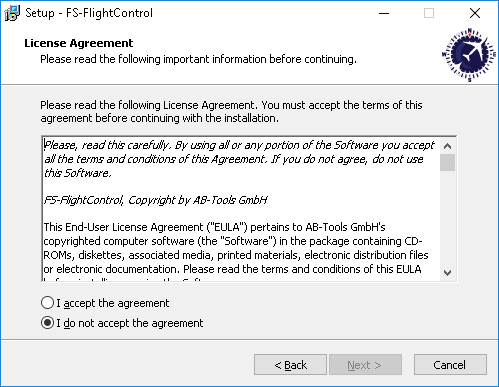 In this case you get this SimConnect end user license agreement (EULA) displayed. Please Accept it to continue with the installation. 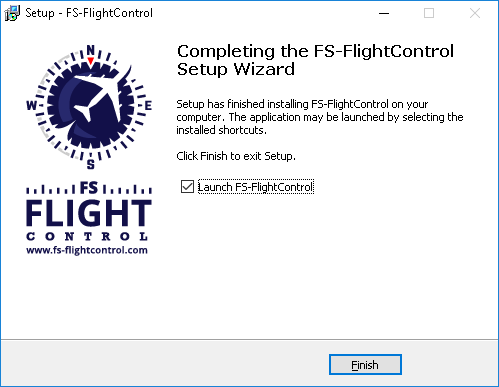 Now the FS-FlightControl installation has been finished! 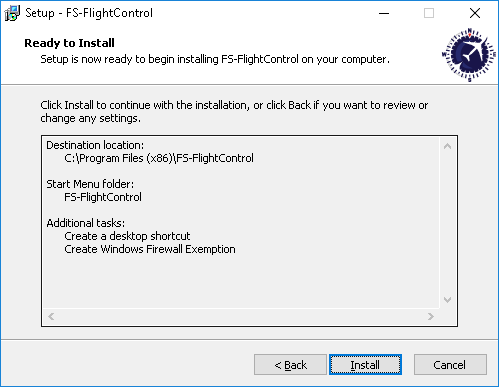 If you keep the check box Launch FS-FlightControl selected the product will be started directly after you clicked on the button Finish.